Would you know how it all began? KADS formed in 1988, although there were some former beginnings. I think the very first performances were at the Old Grape Vine. From that time on regular performances continued throughout the years with well known British residents as directors. 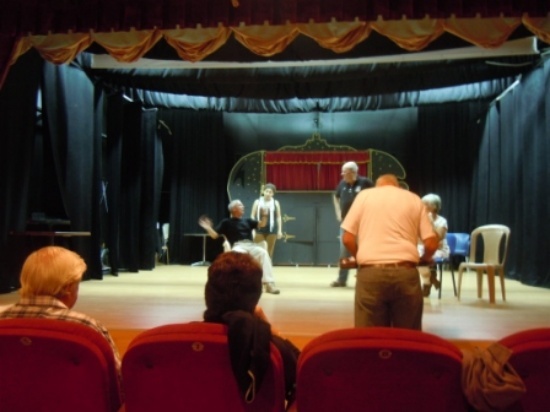 Stages were found in restaurants and school halls, one performance and also many rehearsals, I remember, were at the Edremit Church which was used by the Levantine Art College. Theatre properties were kept at private houses, rehearsals also done there; Once I even helped Muriel Clutten paint the scenery for one play she was directing. 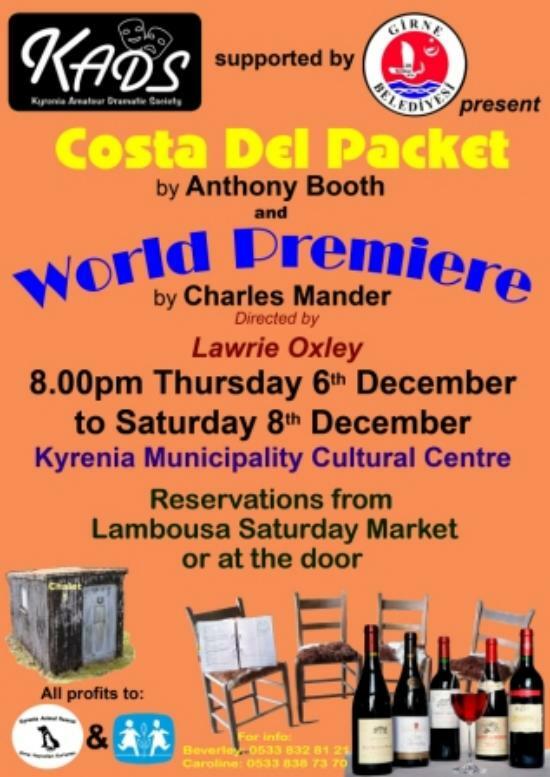 For the last two years they have now found a hopefully permanent solution to use the theatre in the Kyrenia Municipality Cultural Centre. Lawrie Oxley has been with KADS since 2010. I have seen some of the plays he has been directing and he seems to prefer plays with high entertaining value and sharp wit and – at least I noticed – adding random connections to Cyprus. 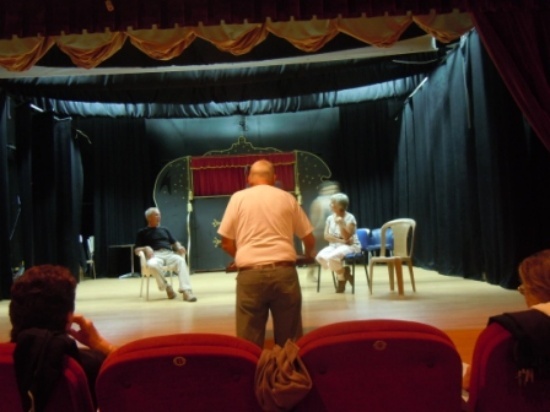 A village hall: A fast-paced comedy about an amateur dramatic society gathering for the technical rehearsal of a play by their producer Gordon. Things go madly wrong. The new-recruit Val frantically tries to improvise. Four women arrive at Del Sol on a package tour. They find themselves stranded in a workman's hut on the site of their hotel, which is not even constructed yet. Determined not to let their husbands know that they have been conned, they decide not to return home and determinedly try to make the best of everything. It is, however, far from easy! That promises to be an entertaining evening! 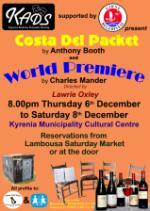 Tickets for the performances on December 6, 7 and 8 are available at the Lambousa Saturday Market or at the door. All profits go to SOS Children Village and Kyrenia Animal Rescue (KAR).